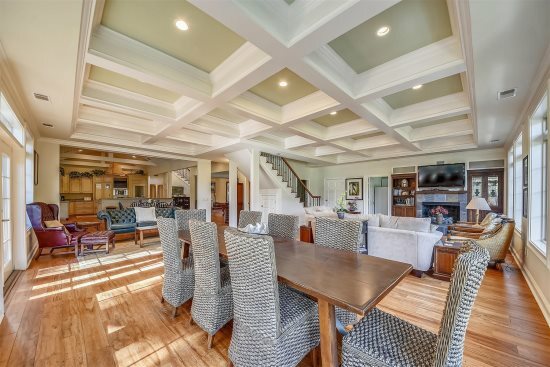 The views won't get any better than those from this 5 bedroom, 5 bath ocean front home! Welcome to 20 Horvath's Peninsula boasting spectacular ocean views from a wall of windows facing the Atlantic! 5 bedrooms each with their own bathroom, modern furnishing (all new furniture 2018), and located in one of Hilton Head’s best vacation spots, Burkes Beach/Singleton area. Your families favorite vacation starts here! Having just completed a total renovation September of 2018, and with sleeping for 16, the spacious interior of this lovely home is ideal for a girlfriend’s excursion, a family reunion, a relaxing escape, a work retreat, or a golf weekend with the boys. Relax by the pool and spa or hit the beach right in front of the house, Decor is "coastal chic and elegant" with light and bright colors throughout, you'll love the fresh and clean feel of this beautiful home. 3rd floor – – full over full bunks and 1 twin bed. The bedrooms on the 3rd floor are ideal for kids, young teenagers, and those young at heart. A ping pong table and a large TV in the back of the garage area with lots of outdoor furniture is perfect for your entertaining needs. There is a pool, a grill, and a boardwalk leading to Hilton Head’s white sand and the Atlantic Ocean just beyond that. The views, the short stroll to the beach, modern furnishings, and plenty more to keep everyone entertained. 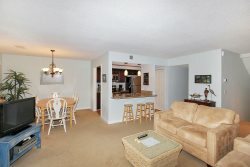 Book this home for your next Hilton Head getaway; you will make lasting memories for generations to come. Happy Vacationing! Burkes/ Singleton Beach is a tranquil family oriented area with great crabbing and fishing. 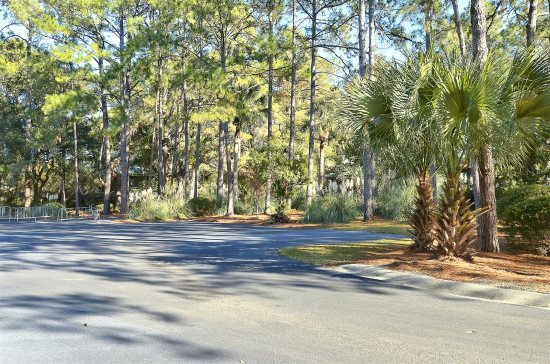 The community also offers 6 free tennis courts, access to the best park in Hilton Head, and is just a quick walk to the island's widest beach, which is favored by the local surfers and wave board riders. Centrally located and close to grocery shopping, movie theater, shops, mini golf, restaurants and all the fun that Hilton Head is known for.